Keyboard is very comfortable to type on. Fits well in hand. Can lag sometimes but still good. sheik, 11 Jun 2010Does this has SIP settings / Voip calling facilty using Nimbuzz or Fring?if you are using 2G network is it better to buy Nokia phone for fring. all nokia smart phone especially E series is good for fring nimbus and skype. Does this has SIP settings / Voip calling facilty using Nimbuzz or Fring? can you use this phone for any company wit a SIM card? Anonymous, 04 May 2010qwertz is the German version so I don't see why you're so pissed.This is almost as big a travesty as your mother being fertile. MUCKSPREADER1, 27 Apr 2010Well i hope the pics on here arnt the one palms going to be producing as the keyboard layout i... moreWow, you seriously know nothing do you. I havent been on GSM arena for this very reason. there are people like yourself who slate a product, knowing absolutely nothing. If you are unaware, different countries have different layouts on keyboards. GSM Arena have clearly used the Marketing picture from a European Version of the handset. MUCKSPREADER1, 27 Apr 2010Well i hope the pics on here arnt the one palms going to be producing as the keyboard layout i... moreqwertz is the German version so I don't see why you're so pissed. My secondary phone is a treo 650 and has been with me for the last 5 years+ and it still working fine. My primary phone now is a samsung b7610 and i would not mind to switch back to Palm if they come out with better spec phones that samsung and htc has to offer. HTC seems to be ahead of the field with a new phone that will have windows 7 run by a 1.5GHZ chip!!! 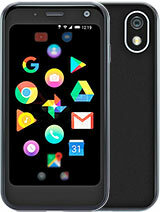 i really don't like palm phones, i think they are going down. 3. more apps, wallpapers... usually fit smaller screens better. stretching an image will lead to pixelation. 4. it offers just as much functionality as a regular larger display but at a cheaper cost. if ur worried about it being too small, u worrying 4 the wrong reason. i hv a neonode n2 which was v cheap. the screen size is 2.0 and its definitely 1 of the best touchscreen devices i hv ever used, in terms of its touchscreen technology. this is probably due to the fact it uses optical which is better than both resistive and capacitive. cool phone i really hope it gets here .